Can I take the section 179 deduction on my RV rental? A quick overview. Home » RV Life » Can I Take the Section 179 Deduction on my RV? You own an RV and decide to rent it out for some extra cash. How do you deal with taxes? 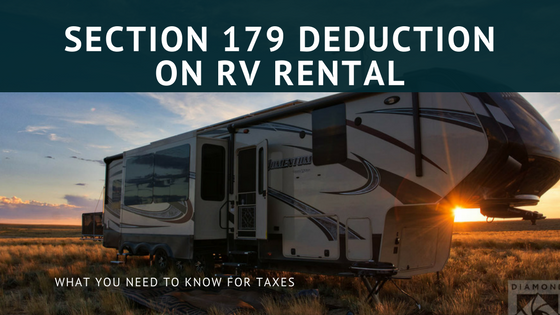 Let’s dive into understanding the section 179 deduction on your RV rental. First, it’s important to separate the different types of RV rentals. This is where you split your RV between personal use and rental business use. lt’s important to keep track of personal use days and rental use days. If you use your RV or trailer more than 14 days or 10% of the total days rented to others at a fair rental price, you will have to prorate rental expenses which will offset rent received. Personal use means use by the owner or owner’s family and includes anyone paying less than a fair rental price. To learn more about personal use, visit this post. Unfortunately, residential rentals do NOT qualify for Section 179 deductions. However, you can still depreciate the RV. Rent your RV out for less than 15 days? If your RV is rented out fewer than 15 days during the year, you don’t have to report any of the rental income nor can you take any of the rental expenses as deductions. Consider it a gift. If you personally use your RV strictly for business purposes with absolutely NO personal or entertainment use, then you qualify for a Section 179 deduction. This applies if you have a sticks-and-bricks home and use your RV to travel to clients instead of flying or driving and staying in a hotel. 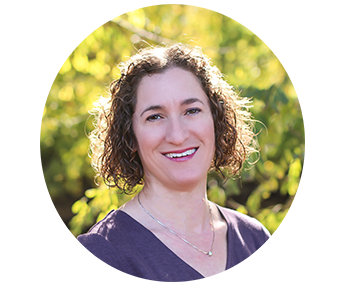 Let’s say you travel to Portland to teach a 4 day course in person. You leave behind your home for this business venture. Why does this qualify for a section 179 deduction? Because you are using the RV for business only and for overnight business stays which qualify as transient lodging, both are qualified Section 179 uses. Should you live full-time in your RV, you don’t qualify for business use of your RV. Therefore, you also don’t qualify to take a section 179 deduction. This is where you list the RV on sites to rent it out to strangers. You earn income and have expenses related to the rental. This would qualify you to take a section 179 deduction since your rental activities qualify as a business for tax purposes. Thus, make sure you’re a business before you even think about taking Section 179 deductions. Owning rental property qualifies as a business if you do it to earn a profit and work at it regularly, systematically, and continuously. Why does this qualify you to take the section 179 deduction? Because you have have transient use of your motor home when the average annual rental period is less than 30 days. For example, you rent the motor home during a year for 185 days to 20 different people. Your average rental period for the year is 9.46 days. This means you are renting to transients. Basically, this turns your RV into a hotel for tax purposes and personal property in hotels qualifies for section 179 deductions. When you rent to transients, you should avoid any personal use. This includes use by you, your family or anyone paying less than fair rental value for the RV. The courts have held that ONE day of personal use of that RV turns your rental “hotel” into a residential rental under the vacation home rules. Residential rentals do not qualify for section 179 deductions. Do not use the RV yourself. Do not allow your brother or sister, spouse, in-laws, or any descendant to rent for less than market value or otherwise use the RV. Free or reduced rent by any one of these relatives qualifies as personal use by you. Do not trade for use of the RV. Do not swap time in the RV as payment for something else. Lastly, do not allow any person to rent for less than fair rental. Once you do any of the above things you disallow the section 179 deduction. Under the vacation home rules, one violation turns your RV rental into a residential rental property. Trust me. You don’t want to go there. As you can see there are different scenarios for RV rental use. Hopefully, this clarifies some of the differences and shows you when you’re able to take a section 179 deduction on your RV.